Stevensons of Norwich offer a range of off-the-shelf Decorative Plaster Ceiling Designs suitable for new and existing properties. Each design can be supplied as individual plaster enrichments or in some cases as larger sections complete with a plaster background for direct fixing to supporting joists and frameworks. 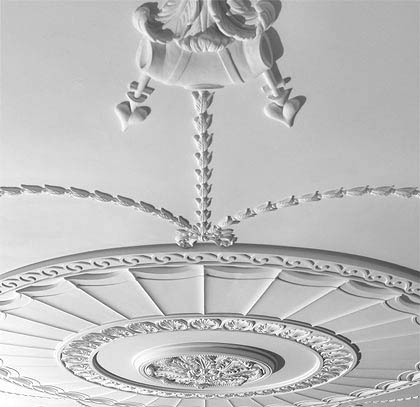 In addition to our off-the-shelf decorative ceilings, Stevensons can assist with the design, manufacture and installation of bespoke plaster ceilings developed from our archive material of from scratch. A member of our design team can help you develop a ceiling design to suit your project and budget making use of our extensive archive of enrichments.